Last week I went for my first ever professional skin treatment. I have been planning to get my skin treated for years now but I was never 100% satisfied by the dermatologists/cosmetologists I consultant. Believe me, when I say, I went to almost everyone in my city. My recent visit to Cooper Consultants changed my doubts to desire and I was onboard getting my dull, pigmented, scarred skin better. People who are meeting me these days keep telling me how my skin is glowing and have improved. All these compliments and I still haven't even gone half way through the process recommended to me by Dr. Sidra of Cooper Consultants. During my first visit, I was told my skin is very sensitive and requires to strengthen before the doctor proceeds with any other more specific treatment. That was where Ultrasound facial came to work. I will use a brief, easy way to explain the procedure instead of going to scientific so you can understand better. Iontophoresis- involves the use of an electrical current to facilitate greater penetration of vitamins into the skin. Now this sounds like getting electrocuted but it's not. I was also scared when they did this on me but it was not much of a shocker (pun intended) All I felt were just tingling feeling, enough to make ticklish people giggle a little and that was it. Sonophoresis- This involves the use of sound waves to transport vitamin molecules through the skin. The sound used is the same as the sound made by dolphins, which produces better penetration through the skin. This felt so soothing and relaxing I almost dozed off. 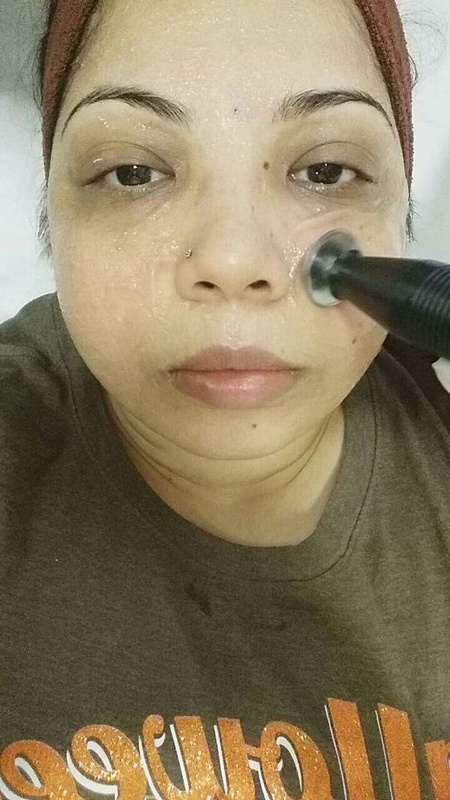 The cool ultrasound gel, the sound waves and the motion of the wand on your face, it all made the experience great. At times, if required for really stubborn or damaged skin, Cosmetic Needling (Roll CIT) is also used which dramatically increase the effectiveness of our skin care products, allowing improved penetration of vitamins into the active layers of the skin. Thankfully I did not require this, for now at least! Other than the two main things I already mentioned above I am going to take you step by step through the process that I went through to give you a better understanding why this is no ordinary facial. Step 1: The procedure starts with cleansing of face. That included cleaning with medicated face wipes, massaging with cleanser while you have steam blowing on your face (quite pleasantly) and then slathered with hydrating mask. The mask and steam was left on for 5 to 10 minutes (max). Step 2: Still in the cleansing phase. The hydrating mask is removed and steam is turned off (phew!) and then all the blackheads and white heads on your face are attacked. It is such a satisfying and mildly painful, process. This is one of those sweet pains, you actually don't mind it. 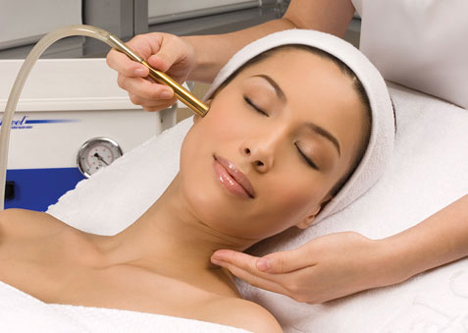 Step 3: Light peeling through mild chemical peel or Microdermabrasion. I have gone to two sessions till now. 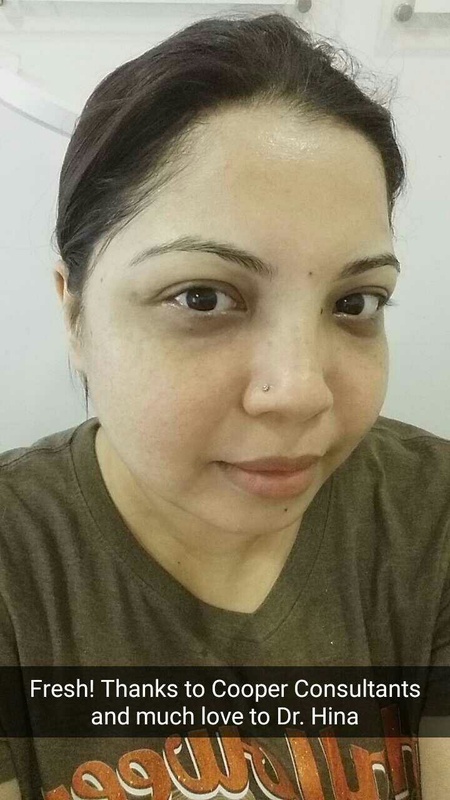 The initial session was light chemical peel and the second was Microderm which I found more effective. Step 4: Iontophoresis, where after applying the vitamin products a white wet gauze was placed over my face with clamps (yaas!) on the headband and then I was made to hold a metal rod wrapped in thin foam. Sounds scary I know but it is the exact opposite. The initial tingling was a bit ticklish but then I got used to it. This is done for at least 5 to 10 minutes. Step 5: Sonophoresis, my favorite part. This is so soothing, the soundwaves, the wand, the cool gel, this part was a breeze for me. The vitamins and antioxidants are patted on the upper layer of the skin and then infused directly into the skin through ultrasounds. Step 6: Apply Sunblock, very very important because your skin has just undergone exfoliation and rejuvenation and you don't want fiery, old sun to damage all that! After the treatment is over, lasts a good 45 minutes to an hour, it was super hard for me to get off the bed! I was so relaxed and just wanted to fall asleep. Improves normal blood flow and proper oxygenation of the skin. 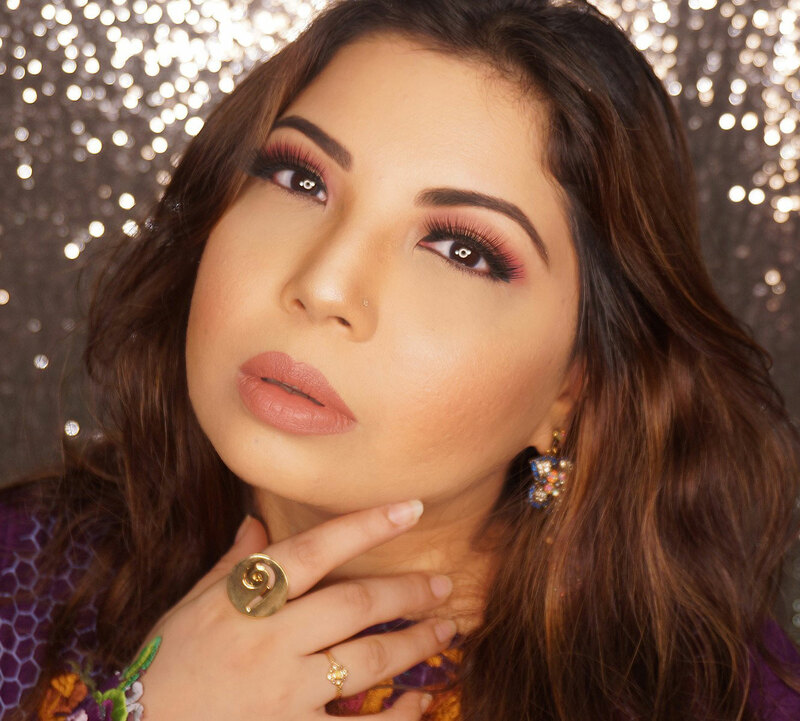 Cooper Consultants are one of the top Cosmetologists in the country with state of art technology, quality products and professional experience that is bound to deliver great results. After going through all the process above you already know this no ordinary facial but so much more. Per session costs Pkr.12k which I feel is completely worth it and highly recommend it as per my experience. Currently available in Karachi and Dubai. That surely look like a great experience! Well, in old days, such treatments will considered like, waste of time, money blah blah blah... At last, people are taking this seriously, and accepting it too. Again, a big question, girls needs to try some authenticate and well renewed clinic for such services. I think you done a great job, and it helps others to pick something for their skin care.